This 2 Star hotel is located in the heart of the shopping paradise of Gariahat in South Kolkata. It consists of 29 contemporary rooms, and also offers two banquet halls, which is ideal for conducting conferences and meetings. A roof-top terrace is also available for holding informal meetings is also available. The hotel's in-house kitchen serves Indian, Continental and Chinese cuisine. 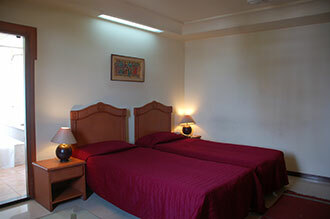 The other hotel facilities include a swimming pool and a well-equipped health club.